When the child gets infected with chickenpox, parents are very worried about this. If I say to you «Don’t worry, everything will be OK, «- it will not help, because it’s your baby, and you will worry, even if he has a runny nose, and now the whole body is covered with a strange rash. I will try to reassure you and say that the chickenpox is quite normal and not dangerous for children .Next, we will study chickenpox in children in more detail. What is chickenpox? Chickenpox is an acute viral disease caused by a variety of herpes virus. 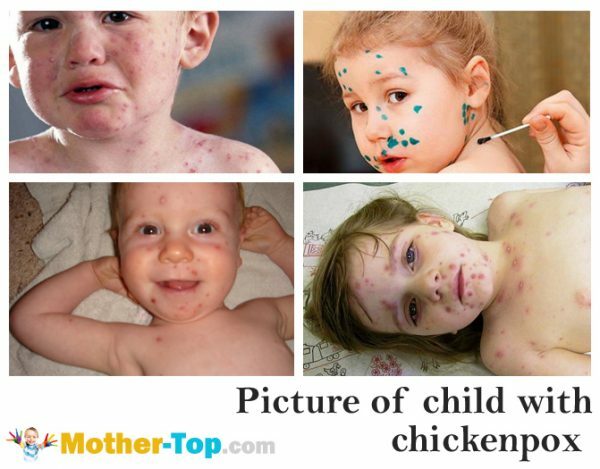 Chickenpox is characterized by fever and papulovesicular rash. Chickenpox occurs as consequence of the penetration of varicella zoster virus (VZV) into the respiratory path. How does one catch chicken pox? People sick with chickenpox are the only source of infection, because this type of virus can’t adapt to the external environment and dies a few minutes after coming out from the body. It should also be noted that the source of infection is only the person who has chickenpox is in its active form. The active form of chickenpox starts 2 days before first rash appears on the body. Well, it’s worth saying, that the probability to be infected by the virus after face-to-face contact with a sick person is almost equal to 100%. That is, if your child had contact with children or adults with the active form of chickenpox, there is a great likelihood that he is infected. Chickenpox: is it good or bad? You may be wondering, but chicken pox can be even useful. If properly treated, chickenpox isn’t dangerous for children. However, if you didn’t have chickenpox in childhood, the disease can be very dangerous for you, as an adult. Therefore, chickenpox in children is a normal and even desirable phenomenon. After chickenpox, your body produces antibodies that will fight the varicella zoster virus. By the way, the herpes virus remains in the body forever, but it isn’t shown because of the produced antibodies. Can I get chicken pox for the second time? Parents often ask: can my child get chickenpox for the second time? 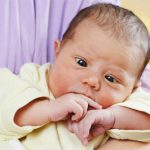 — Yes, your baby may be infected for the second time, but this happens extremely rarely and such cases are the exception. Second occurrence of chickenpox happens when during the first disease the immune system didn’t manage to produce antibodies to fight the virus in the future, and when the virus re-attacks the body, it is not able to protect itself. Let’s now learn how chickenpox begins, and what its first symptoms are. The incubation period of chickenpox in children ranges from 13 to 17 days. On average, it lasts 14 days. The person is contagious from the very first moment of infection until the last elements of the rash. The first signs of chickenpox in children. The first symptom of chickenpox in children is the appearance of rash on the face and head, accompanied with fever and general malaise. First, mild chickenpox rash appears on the face because herpes virus enters the body through the respiratory tract, affecting the small capillaries. This rash is of a slight pinkish hue. The virus causes body stress, and because of the inflammatory process, the child has fever and general malaise. Secondary signs of chickenpox. Typically, lesions occur in waves: spots appear not by one, but by several dozens. Rashes have the form of bubbles with muddy contents inside. With the appearance of every «portion» of the rash, the body temperature rises, deteriorating general health condition. Fever may last up to 5 days, but usually it doesn’t increase after 2 days. When the child’s body is completely covered in rash, then you can breathe a sigh of relief, since it means that the body begins to actively fight against the virus. Therefore, a large number of chickenpox bubbles mustn’t worry you. The rash can appear not only outwardly, but also inside the body. After about 4 days the bubbles begin to open, and the crust begins to form in their places. The crust will disappear in 3 weeks. Disease progress. The first signs of chickenpox are fever and malaise, but they quickly pass. The most difficult and unpleasant thing in chickenpox is itching. Rash begins to itch, and causes severe discomfort. 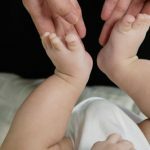 How to help your child? Now let’s learn how to treat chickenpox in children. How to treat chickenpox in children? If your child has contacted with someone who has chickenpox, you should be ready, because at any time your child can wake up with this disease. No need to panic, you must just control your child’s health status carefully and without fanaticism. If your baby has fever and chickenpox rash — call your doctor. During the first 3−4 days, until the child starts to feel better — he must stay in bed. How to reduce the child’s temperature when chickenpox? Initial chickenpox symptomatic picture is fever and general malaise. To facilitate the child’s condition and to lower the temperature, you can give Paracetamol or Ibuprofen. Do not give aspirin! Before giving your child any medication, consult the doctor. If one of the parents or grandparents had a severe form of the illness. How to remove chicken pox itching? Chickenpox itching is the most unpleasant thing for a child. The rash is very itchy — it is a very uncomfortable feeling, perhaps, you remember it from your childhood. 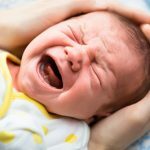 How to help your baby in this period? Sweat makes itching even more unbearable. Fever and physical activity accelerate perspiration.Give your child antipyretics, ventilate the room and keep comfortable temperature in the house. Pay special attention to the child’s clothes. In this period, it is better to wear cotton clothes or clothes made of other natural breathable fabrics. Change clothes every day or twice a day. The bedding should also be fresh and soft not to cause discomfort to the child. do not use a towel after bathing not to tear off the crust, is better to use a soft sheet. if the doctor — for any reason — prohibits bathing, it is better not to bathe. Special pharmacological drugs can relieve itching during chickenpox, for example: Suprastinum, Diazolinum etc. Before taking these drugs, consult your doctor. How to treat chicken pox rash? Today there is a wide range of drugs in the form of lotions, which are common for the chickenpox treatment. Calamine lotion is very efficient. It dries the skin, has a cooling effect and relieves itching. If you are in doubt about chickenpox treatment, consult your doctor. One more important thing to do is to explain the child that he mustn’t scratch the rash and tear off the crust, because there will be scars in his skin. To prevent this, it is recommended to put on cotton gloves. When the child begins to feel better — it’s a good idea to go for short walks 2−3 times a day. 15−20 minutes will be enough. In the summer, try not to be under direct sunrays, as direct sunlight negatively affects the skin. What to drink while chickenpox? The child should drink more while chickenpox. It’s better to drink herbal teas and mineral non-carbonated water. What to eat while chickenpox? The first days of chickenpox are accompanied by high temperature, so the child’s appetite is very bad. Don’t make the child eat in this period. Offer him a snack he loves the most. Exclude salty, sour, smoked and spicy food from the child’s diet. The best food while chickenpox is soups and broths based on cereals, and dairy cereals. You can give fish to your child, because there is a lot of protein and phosphorus, but cook the fish without spices. Avocados and bananas will be highly useful. They are rich in vitamins and minerals, which a child needs during this period. How long does chickenpox in children last? Of course, moms and dads are very concerned about this question. It’s very difficult to answer this question, as each organism is individual and the severity of the disease may be different. If we take the average statistical data, the emergence of new rash stops on the 3rd day. From this point, we can assume that the child is recovering. Traces of rash will be visible for several weeks, usually for up to 3 weeks. Complications of chickenpox in children include pneumonia, arthritis, liver and kidneys diseases. That is why it is necessary to consult the doctor and begin chickenpox treatment on the first days.